It’s not often that we get sent non-music promo items, occasionally there will be booze, or gadgets, and there was that time Chromeo sent us a phone, but generally it’s Records and CDs. Last week, though, we got sent a book. 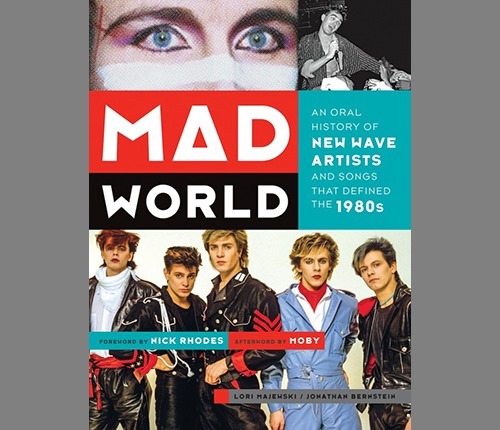 That book was Mad World: An Oral History Of New Wave Artists And Songs That Defined The 1980s. It was was written by Lori Majewski and Jonathan Bernstein, both long time music journalists with a vested interest int he 80s. I’m a big reader, but I can barely string two words together to write a music review, let along tackle a book review. So here is a book review. Music books are notoriously hit or miss, more often being disappointingly miss. The last great music book I read was Last Night A DJ Saved My Life by Bill Brewster and Frank Broughton (which is an amazing history of DJing which is well worth the read), 80s music books in particular, usually make me annoyed with their generalizations of superficial coverage of the topic so I delved into the book with trepidation. However, the way Mad World is constructed is both fun and pretty in depth. 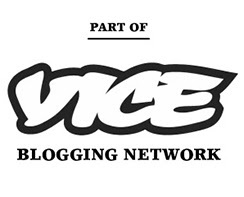 What you have is each chapter being dedicated to a particular classic song from the 80s and it’s content being an interview with one or more of the creators. So, for example, the chapter on Yazoo’s Only You features Vince and Alison talking about their relationship and making the record. This is a great format that allows you to pick up and put down the book when you’ve got a spare minute and learn something genuinely insightful about a handful of SynthPop hits and a brief look into the mind of some of the biggest names of the 80s. Those present and correct include The Human League, Heaven 17, Depeche Mode, Yazoo, Thomas Dolby, Howard Jones, Kim Wilde, The Normal, Duran Duran, ABC, Devo, A-Ha, Thompson Twins, OMD, Ultravox and many more. So, yeah, book review. I really enjoyed it. Even though it’s a ‘dip in’ type volume, I read the thing from cover to cover. The fact that it’s 99% the voices of the artists who made these records makes it both more interesting, and accurate, than if a third party has just written about the tracks. Also, there’s tons of photos, and photos from the 80s are a good thing. One tiny niggle I did have with the book; being an American publication it has these translations for English terms throughout that tends to be a bit patronising and jarring a little. It’s an annoyance that pulls you out of the book. I know much of the books audience will be American, but I’m sure they have enough common sense to realise a “bin man” is what they would call a “garbage man”, context is a wonderful thing. That aside though, It’s really good read, I would definitely be interested in a Volume Two being released, there’s tons of songs I would love to read about in this format. I ordered this from the US a few months back as soon it was released (i’m in Australia). Such a great read!